Southern Illinois University Edwardsville is introducing a master’s of fine arts in creative writing beginning fall 2018. The MFA in creative writing is offered by the Department of English Language and Literature in SIUE’s College of Arts and Sciences. A terminal degree for poets and fiction writers, the master’s of fine arts qualifies students for careers in academia and writing-related fields. Unlike most programs in the country, the MFA at SIUE includes a service-learning component that encourages experiential learning. During the second year, students will engage in the “Writer in the World” sequence, which allows them to study community-based pedagogies and then partner with a local organization and enrich the community with a service program of their own devising. This sequence will better prepare students for meaningful employment in or outside of academia, and help students sustain a rich writing life beyond graduation. The new MFA provides flexibility in its elective and literature offerings, permitting students to pursue other interests, including literary publishing, creative writing pedagogy and contemporary literature. Students will also have the opportunity to gain invaluable editing skills by working with Sou’wester, one of the oldest continually published literary magazines in the country. Prospective students may begin to apply now. Applications close Thursday, Feb. 1, 2018. For more information, contact Professor Geoff Schmidt at geschmi@siue.edu. 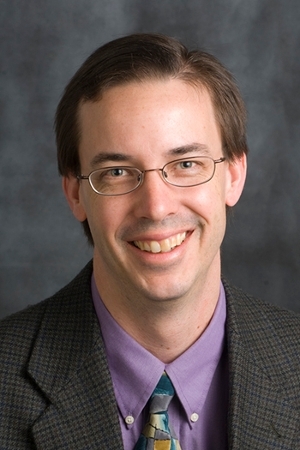 Photo: Geoff Schmidt, professor of English Language and Literature in SIUE’s College of Arts and Sciences.